Over the years I have received countless questions regarding how to use Melodyne. And regardless of the personal inquiries, I almost always ask the same thing first, “how are you using it? As a plugin or a standalone application”? This question can often elicit an introspective look of wonder from many users. Why? Because it seems some Melodyne users do not even know that it can operate independently of any DAW at any time. 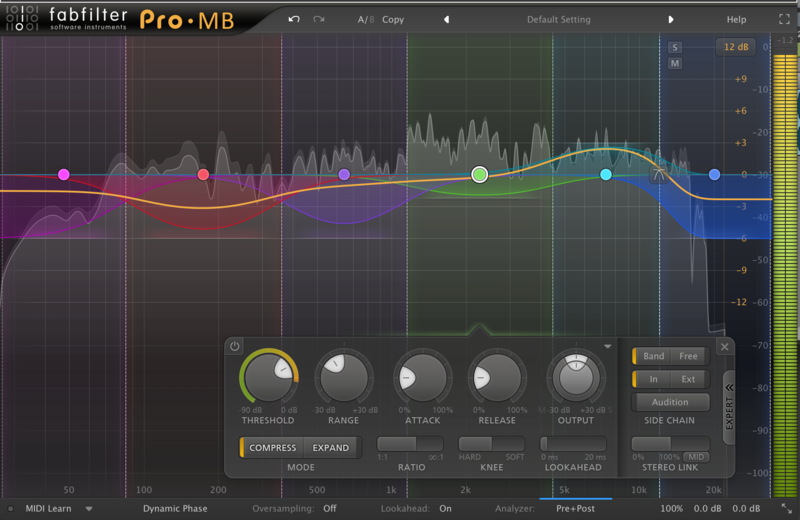 Meaning, one can open it (called Stand-Alone mode) and edit audio entirely within Melodyne itself. Sure there are advantages (and some disadvantages) to either work-flow, so how do you choose? Well, one way is to simply understand the differences first. My thoughts are, always answer the simple questions first. It always seems to make getting started a whole lot easier. What do I want to do? How do I want to do it? And why? You see, in “Stand Alone” mode (meaning one simply opens Melodyne without the aid of a companion DAW program) there are many features that are not available as a plugin. This does not mean that the plugin is less capable, but that certain functions are DAW dependent because, well, someone needs to be in charge. In this report, we will analyze some of the key differences regarding both forms of use, their benefits, and possible drawbacks. I have quite a bit of experience using Melodyne. I will say that Stand Alone mode is my favorite. Why? Simply because it is unencumbered. This style of editing gives users all of Melodyne’s functionalities. But first, where’s the audio? As a plugin, the audio is on the track you’ve applied it too. In Stand-Alone it has to come from somewhere. The latest version of Melodyne incorporates a very useful “Project Browser.” With it, browsing your drives for work files is straightforward. Simply use it much like any file explorer to locate the audio for editing then drag it in. One tip, you can drag in multiple files at once into the tracks view. This will create tracks and analyze the audio before making any editing possible. But keep in mind, the more complex the tracks you drag in are, the longer it will take for them to be ready. This can often take a while... I suggest saving a version of your work immediately after all the tracks are imported, created, and analyzed. Speaking of importing, under the file menu in the header bar you will find the traditional import utility there as well. Next, you can search for files yourself on your computer and drag-and-drop them in conventionally. And to round it all out you can record, that’s right, I said record audio directly into Melodyne. Not many people I know do this, however. It’s not that the quality suffers because it doesn’t; it’s just that most users seem to use Melodyne as a follow-up editor. I will say, however, that recording into Melodyne is extremely cool and, if you are going to be editing the audio regardless then why not try this and save some extra steps? This may apply to some but clearly not all circumstances. Just remember to set up your recording standards in the preference menu first. Something new in Melodyne 4 is “Project Documents.” Imagine opening or creating multiple projects and working on them at once. 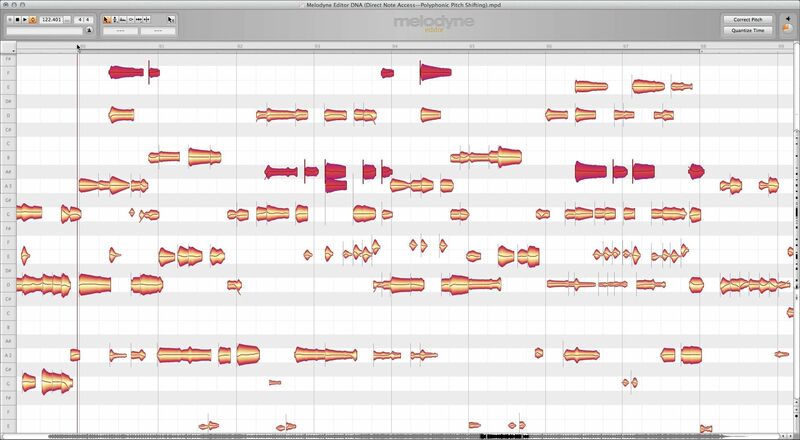 Melodyne creates tabs at the top of its window where you can select through multiple projects. This feature is a big work-flow enhancement. A word of caution, however, depending on your personal workstation, too many sessions can lead to a strain on your hardware. Regardless, this advancement allows one to share information between each project! I find this especially cool when experimenting with Melodyne’s “Sound Editor.” Imagine copying the tonality and flavor of a sound then pasting it onto a different track in a different session all without leaving the workspace environment. Melodyne provides a maximum 100 levels of undo - you have to set this in the preferences. So be fearless. Aside from the file browsing and session management features, using Melodyne independently of any DAW may provide the most power, yet there is more work involved than you think. What do you do with your work now that it’s done? Depending on your needs, this can be very easy or a little tricky. My advice is to keep it simple. 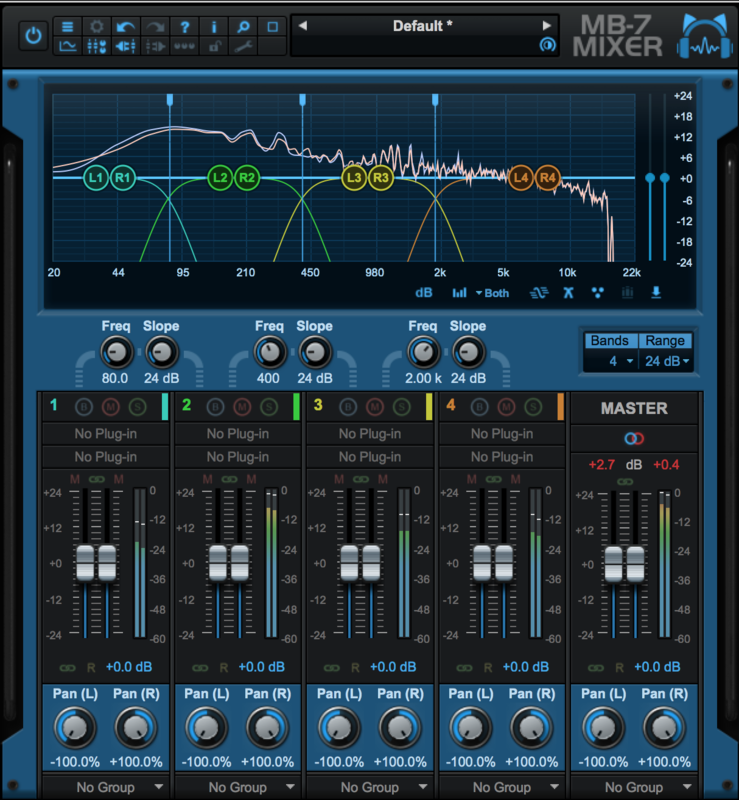 Like most work-stations, Melodyne can “sum” your tracks. But, seeing that Melodyne is a premier audio editor, one can batch export each track as an individual file. The export settings speak for themselves. Format, bit and sample rates, etc. However options like “Range” can be confusing to some and “Include tails” can be a head scratcher for most. These are important to understand and represent the many little nuances that proliferate the program. Yet, they are the same nuances that make it so unique. If you are going to be importing your Melodyne work then it helps to store it in the session folder of your DAW of choice. 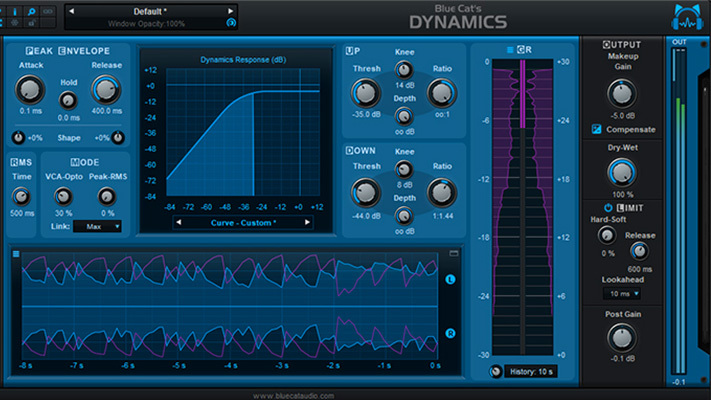 Some DAWs have features to replace sound files, so replacing can be a one click job. Are all these steps worth it? Well, that’s up to you. One question is do you need access to Melodyne’s exclusive timing and tempo editing tools? Some are available in the plugin version but not all. For example, “Tempo Detection” and “Auto Stretch.” Also, the ability to detect and create a tempo map from virtually any kind of performance is highly beneficial. 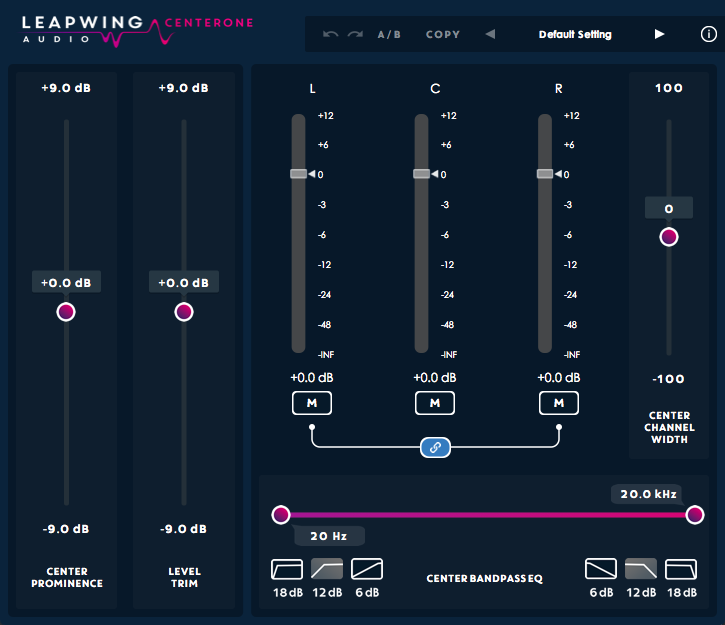 Once detected, the mapped tempo can then be exported for utilizing in your mix. With Melodyne, you can edit the tempo prior to extorting it! This feature is not available in Melodyne’s plugin window. Fortunately, if you own Melodyne than regardless of the version you have, both Stand-Alone and the plugin counterpart are included with every package. However, not every version of Melodyne comes with all the same timing tools and editing capabilities so keep this in mind. This is why it can be easily confusing for even experienced users to often keep in mind. I suggest visiting Celemony’s official website for updates and information regarding your particular version. 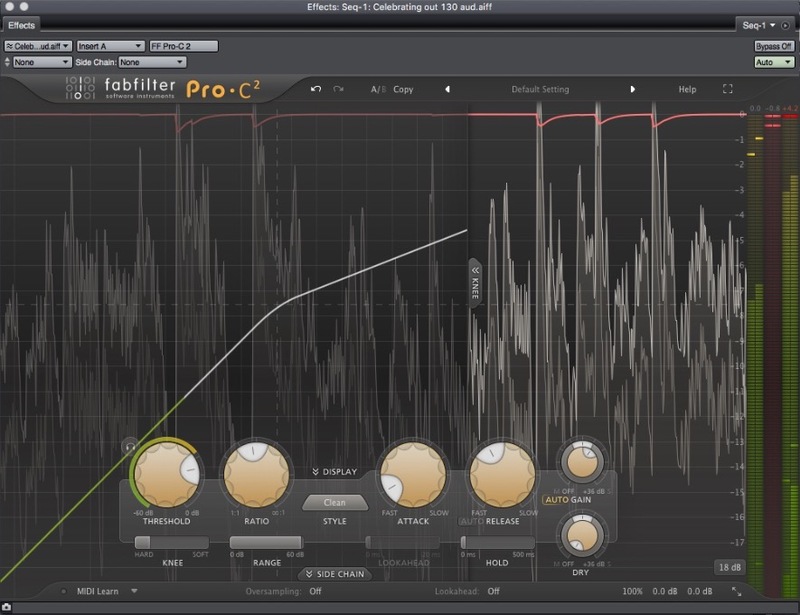 Next, as an analysis tool, few programs excel at tempo editing like Melodyne. 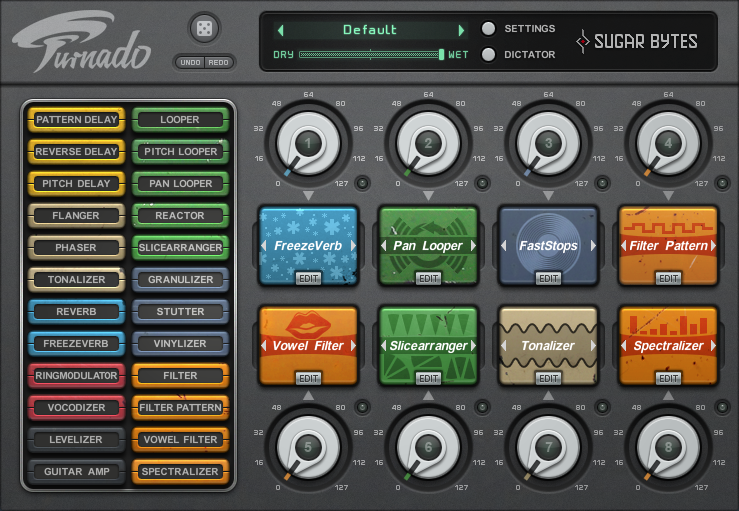 In Stand-Alone users can create and alter existing project tempos with a multitude of tools in “Edit Tempo” mode. The ability to first analyze, detect, the re-shape a tempo is a big advantage regardless of your end means. As an audiophile, I use Melodyne not only to help understand the frequency content of my favorite mixes but the timing and feel of songs too. There is yet another timing mode I should mention, and that is Melodyne’s “Assigning Tempo” mode. Again, a Stand-Alone version feature. This mode allows you to adjust the detected tempo. Tweak it if you will. You can more accurately match a files tempo if need be. 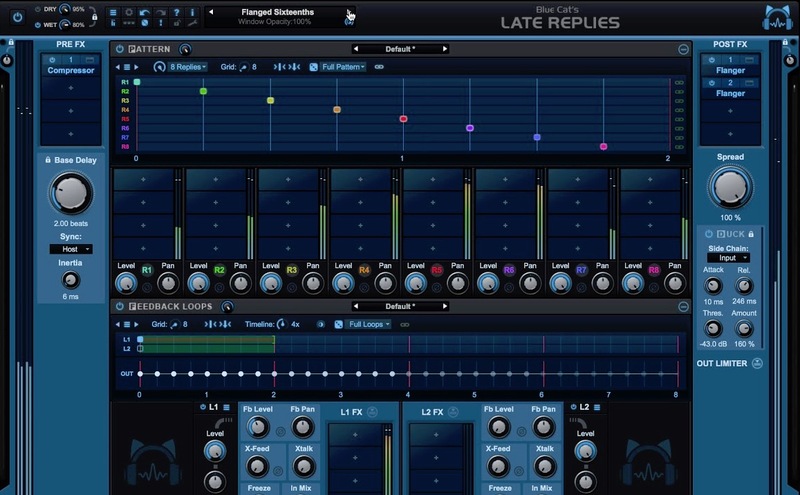 In this mode, you are editing the grid reflecting the bars and beats of the audio. Often I find this useful when a song has a particular type of introduction. Perhaps a build up or lead in that may not clearly define an intro downbeat. Being able to clearly define the tempo of a project with tools like this is key to making your work much easier. Especially when preparing a file to export its tempo map! It may seem daunting at first. 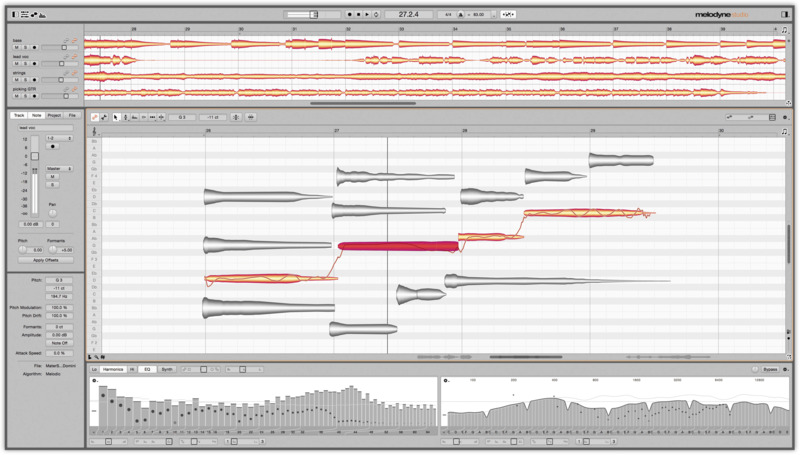 Melodyne’s Stand-Alone mode clearly offers users the most options to edit their work. I can completely understand why people would prefer sticking to the plugin counterpart almost exclusively. Yet, shying away from the most amount of power and potential a program has to offer, isn’t always the easiest way out. After all, the more you know and understand how things work in the Stand-Alone version the more confident you may feel in calling yourself a true Melodyne user. What would I change if anything? I think accessing certain features can be an issue, especially for new users. Access to many of the powerful editing modes seems hidden to me. A tiny and barely noticeable disclosure arrow or blended in selector boxes are access portals to many of the features highlighted above. As screen resolutions have increased the smaller these access points have become. I would like to see dedicated and clearly marked buttons for activating and utilizing certain tools in Melodyne. The less “hidden” a function appears to be, the more likely users are to utilize them. Not to mention increasing your work-flow and confidence. Melodyne Stand-Alone is head and shoulders above anything else like it. But like all things unique in life, appreciate the differences and learn from them. Audio Production Engineer. 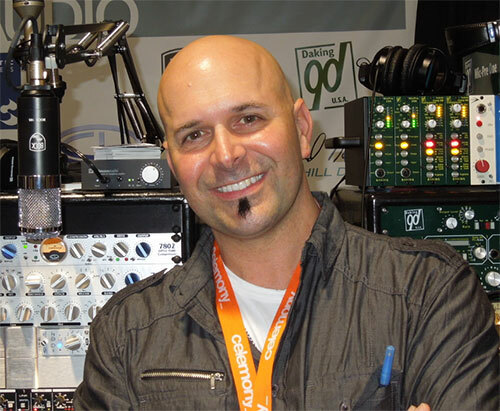 Carlo has developed a name for himself as an audio engineer and products specialist by providing production services, demonstrations, and training across the country for all levels of industry and academic environments. In between production responsibilities he conducts online training seminars, collaborative production meetings, software demonstrations, and video training tutorials for clients.